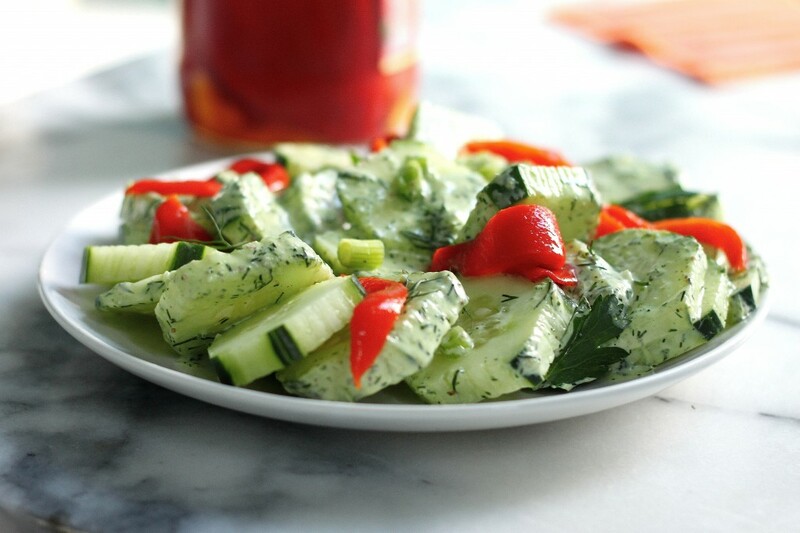 We've given this creamy cucumber salad recipe a healthy update. But its still so good!! 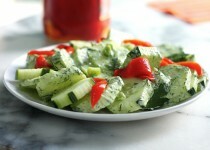 Garlic & Dill Dressing - 3 tbsp. Dijon Mustard - 1 tbsp. Whisk Garlic & Dill Dressing with Dijon mustard. Peel cucumbers and half lengthwise, scraping out seeds with a small spoon. Pat cucumbers dry with paper towel and cut halves crosswise into 1/8" thick slices. For garnish, add green onions and pickled red pepper strips. Add dressing mixture, toss to coat, add fresh chopped dill(optional).